I'm 8 days away from my due date and yes, I have just about everything packed and ready to go! 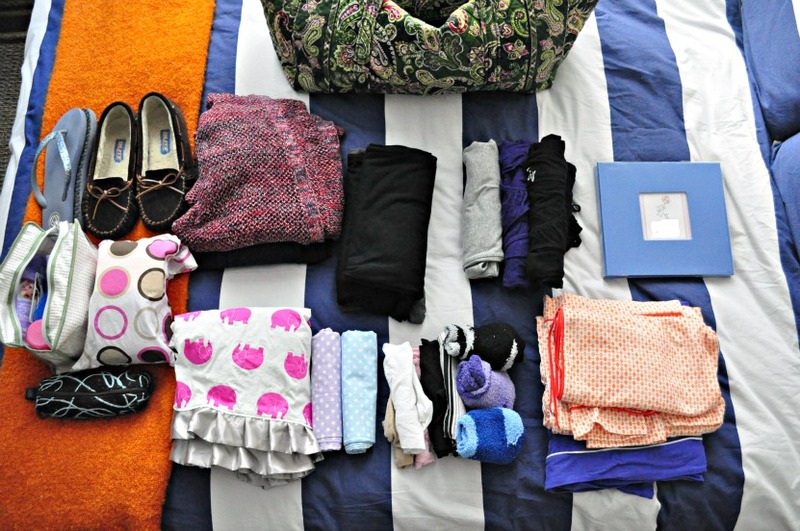 After posting what I'm packing for Baby H, I got a few requests for what I plan to bring for myself. I searched through tons of lists, spoke to family, friends, & hospital employees, got advice on Facebook and finally narrowed it all down to what I really thought I might use/need. I know that many people say that you don't need much, but I do like to have options and my own creature comforts (make-up was the first thing that got packed and placed into my bag! ), so I packed my bag with what I think I'll be most happy with and tried to avoid going overboard. Here is the bulk of everything laid out and ready to go into the bag. Of course, I'm missing a few key things like a hairbrush, hair dryer and flat iron. These things will go into the bag as we leave for the hospital, since I use them everyday. I'm bringing a pair of cozy slippers with rubber grips and flip flops for the shower. I plan to be wearing my Uggs on the way to the hospital (since it's pretty much the only footwear that comfortably fits at this point). I plan to wear cozy yet cute cardigans during my stay that will keep me warm and also look nice in photos. The cute pink elephant print is a Babee covee, a 6-in-1 baby blanket, car seat cover, nursing cover and more. I don't really think I'll use this, but am bringing it just in case for when we have visitors. As for toiletries, I'll spare you the laundry list, but it includes all the basics like shampoo, extra contact lenses & case, headbands, hairties, toothbrush & paste, a razor & shaving gel (just in case), and some other mommy-products (like Lansinoh). For make-up, I brought mascara, blush, primer, a small eyeshadow palette, 1 lipstick and brushes. Moving on, I bought 2 pairs of large yoga pants that are oh-so-soft and cozy, along with 4 nursing tank tops that will be perfect for under those cardigans. I purchased some non-slip socks and new unmentionables that can be tossed later on. I also picked out 2 pretty pillowcases (in Baby H's colors!) 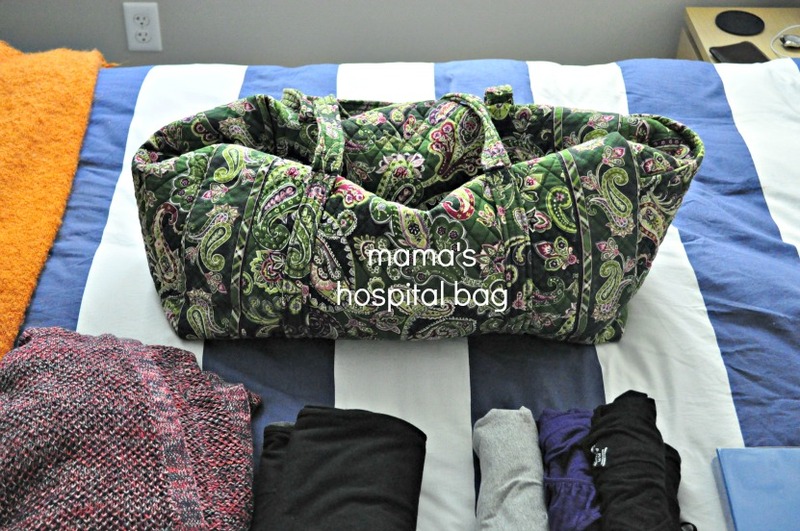 to bring with us and put on our own pillows (another items that will just get brought with us when we leave for the hospital). I got these at Pottery Barn Kids and think they will be so cute in photos and also get use once we are home. Lastly, I DIY'd my own baby book for baby girl (I blurred out her name on the cover...it's a surprise!). I left a page for her footprints and I'm hoping to get a copy of those in the hospital. 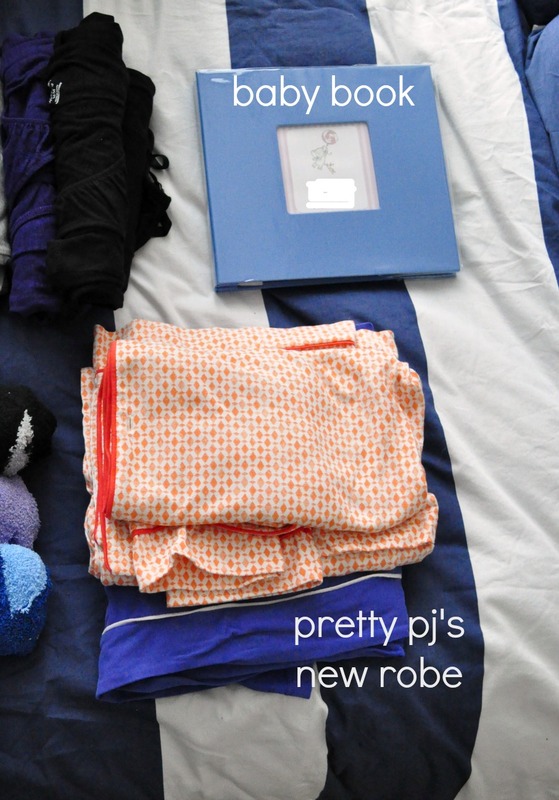 And for myself, a new pair of peach pj's and a new, lightweight and oh-so-soft robe. It all fits perfectly in my Vera Bradley duffel (one of my all-time favorite bags). Outside of these things, I have a separate tote bag packed with some snacks for Shaun (granola bars, nuts), an extra tote bag (to carry things home in) and our cameras...we are bringing our new video camera, my point-and-shoot and my DSLR. And very lastly, we'll also be bringing my iPad, phones, chargers, insurance paperwork and a deck of cards (in case of a lot of down time). I think that pretty much covers it all. 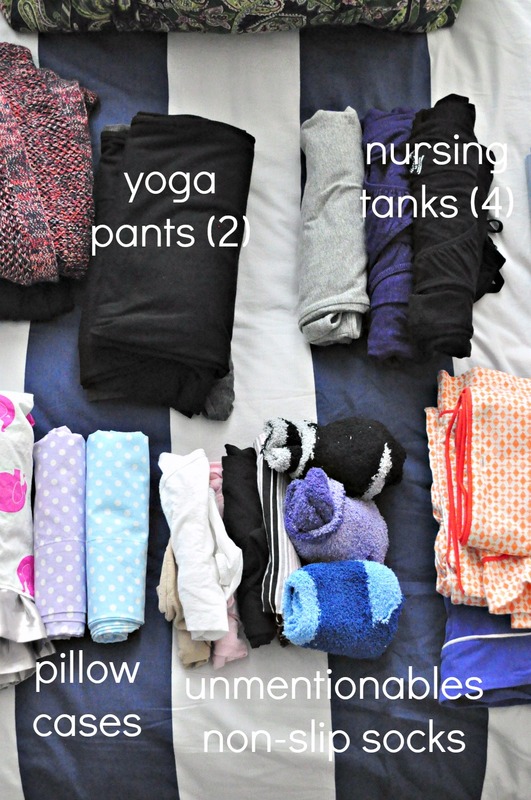 Check out last week's post about what I'm bringing for baby, in case you are interested. 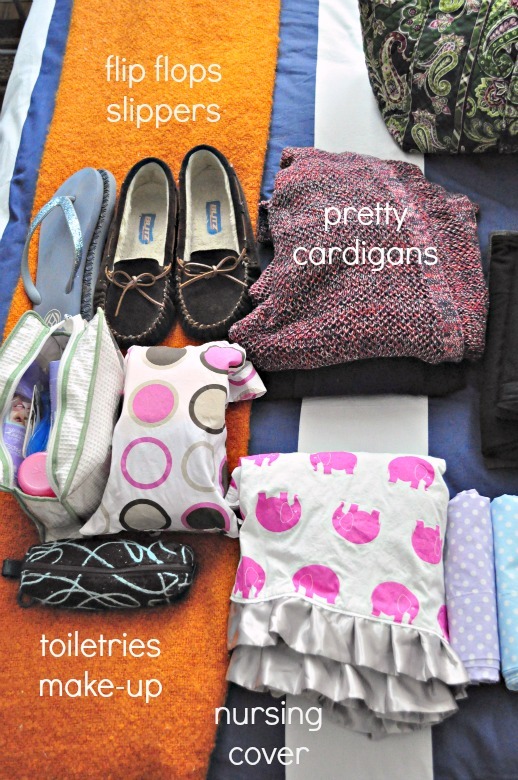 What creature comforts are must-haves for you when traveling? And moms out there, am I missing anything?